Whether you have spent your life dealing with acne, or have only recently discovered the frustrations of what it’s like to live with it, one thing is for sure – you’re ready for an acne treatment that works. As leading dermatologists in the Fort Lauderdale area, we are regularly asked about how to treat acne, and we are so glad to offer that option to you. Because here’s the bottom line: Nobody loves their acne, but everybody with acne loves their lasers. At Precision Skin Institute, we’re saying bye-bye to acne with some of the industry’s best and most effective laser and energy devices. We’ve come a long way from the days of dabbing toothpaste on our blemishes and hoping for the best, and now, you can guarantee clear skin – quickly – with a visit to our full-service dermatology center in Davie. The truth is, topical acne therapies are not enough to target the results you desire. Laser acne and acne scars treatments are commonly used as adjuncts to synergistically enhance acne therapies. Patients who want to only use topical creams and to avoid systemic medications because of potential side effects or have poor response to systemic medications, therefore laser therapy and energy-based treatments come into play as excellent treatment options, with visible results after multiple treatments. So, which are the laser and energy devices that we’re using treat acne? Only the best, of course, for the best acne treatment in town. Also from Syneron Candela, the Vbeam Perfecta is a safe tool for the treatment of redness due to pimples, blemishes and scars. It has a low incidence of side effects and is a quick treatment for those looking to clear up their skin – fast! An IPL treatment, otherwise known as a photofacial, is a procedure that involve intense pulses of light designed to penetrate deep into the skin. This treatment is ideal for people with large pores, blotchy or discolored skin, and especially for those on-the-go. This quick acne treatment requires minimal downtime, with results presenting themselves gradually in the weeks following your appointment. Sublative radio frequency, also safe for most skin types, is an energy-based treatment for skin rejuvenation, is working wonders on those looking to treat acne and acne scars. This unique treatment uses radio frequency to deliver amazing results for those with scarring. In just a few visits, this treatment will be able to stimulate your own collagen to give the appearance of smoother skin, with less blemishes. Brand new on the market and at Precision Skin Institute is the PicoWay laser by Syneron Candela. This treatment is perfect for those looking to remove lesions, blemishes, or scars left behind by acne. This laser is safe for most skin types, yields faster results than more traditional lasers due to its three different wavelengths and short pulse duration – also the reason why this laser comes with little to no discomfort! Acne scarring could be a thing of the past when treated with a cutting-edge, fractional ablative CO-2 treatments. 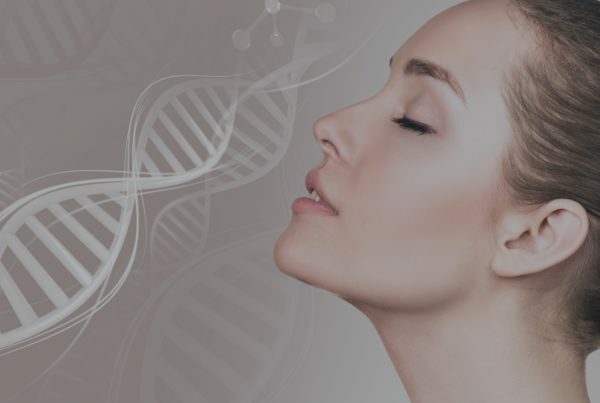 And as we recently reported, fractional ablative treatments, an energy based device that uses radio frequency to deliver its magic, produces thousands of tiny columns or micro-beams of energy creating areas of treated tissue surrounded by untreated tissue. This mimics the results obtained with the more aggressive carbon dioxide ablative procedures, but without the risks and prolonged healing time or potential scarring. If you’re considering treatment for acne-related issues, or having more questions on which laser or energy-based treatment might be right for your skin type, contact us to book a consultation. We would love to educate you on the best options for helping you look and feel your best, and we’re proud to offer a multitude of acne-resolving treatments.Visit our appointment page, or stop in and see us today. Precision Skin Institute: where healthy skin means a healthy YOU! Previous PostNovaThreads. A Nonsurgical Face Lift Has Arrived at Precision Skin Institute!